It’s time! 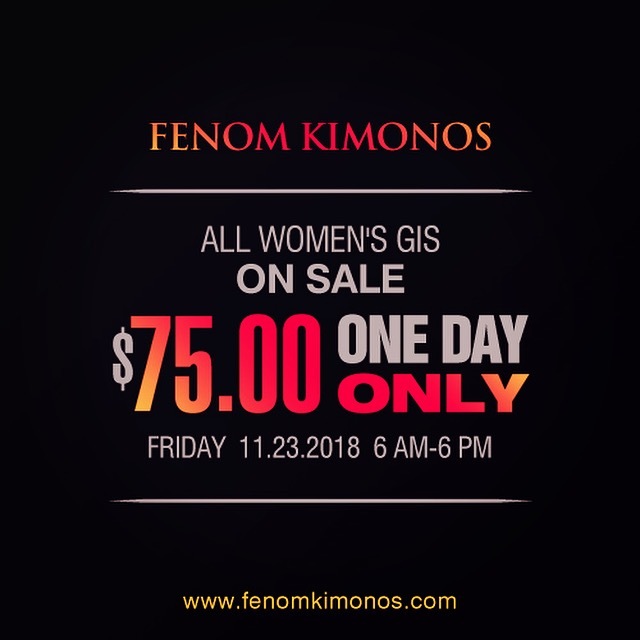 Our annual women’s gi sale is happening this Friday from 6am to 6pm CST or until we are sold out. Let’s empty the warehouse! Happy shopping! *Quantities are limited, no rain checks. Please limit two gis per person domestically, three gis per person internationally, no reselling. Please inquire about sizing before purchase to avoid returns. Please allow extra 2-3 days of processing and shipping time.